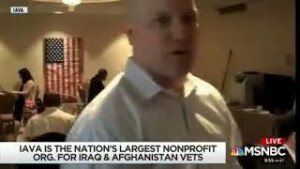 IAVA is the voice of Iraq and Afghanistan veterans in Washington. Led by veterans, our non-partisan advocacy work ensures that Iraq and Afghanistan veterans and their families are supported, protected, and never forgotten. Since 2004, IAVA has been a juggernaut in Washington, creating and driving the national conversation on issues ranging from Traumatic Brain Injury (TBI) to women veteran issues to veteran unemployment. IAVA’s dedicated staff in Washington, D.C. leads this work, advocating on behalf of our members daily. We also train our member veterans to be powerful advocates for their community. We partner with all those who share our commitment to this generation of veterans—whether they’re Democrat, Republican, or independent. We’ve worked closely with the White House, Members of Congress, the Department of Defense (DoD), the VA, corporations, and other nonprofits. But we’re a tough watchdog as well, holding political leaders accountable for failures to support our community. Click here to view a list of IAVA-supported legislation in the 116th Congress, here for a list of testimonies that IAVA has provided to Congress, and here for previously supported legislation. She Who Borne The Battle (2018): We saw more #SheWhoBorneTheBattle victories with FY2019 funding (P.L. 115-244) added for increased health access for women vets, including prosthetics, gender-specific healthcare, mental health services, and services for low income veterans to address homelessness. VA was also required to ensure its facilities can meet needs of female vets and create a master plan to address those facilities that are below standard. Further, two omnibus pieces of legislation (H.R. 6 and S. 2372) were passed with provisions to establish and expand access to peer to peer counseling for women veterans. The MISSION Act (2018): IAVA had worked for years with VSO partners to consolidate the myriad VA community care programs while protecting the integrity of the VA from efforts to drive even more patients into the private sector with less accountability by the VA. The MISSION Act will streamline care in the community so that veterans that have to access care outside their local VA facility will have an easier time being able to do so. The bill was finally signed into law in June. Burn Pits Accountability Act (2018): We introduced legislation with Reps. Tulsi Gabbard (D-HI) and Brian Mast (R-FL), and Sens. Amy Klobuchar (D-MN) and Dan Sullivan (R-AK) to require the Department of Defense to track and report to the VA exposures of servicemembers to burn pits and other airborne toxins reported during each periodic health assessment. Medicinal Cannabis for Vets (2018): We launched our #CannabisForVets campaign focused on changing antiquated federal policies that prohibit wounded veterans from having access to medical cannabis. At the center of the campaign is our efforts to pass the bipartisan VA Medicinal Cannabis Research Act (H.R.5520/S.2796 ), which authorizes the VA to conduct research on the efficacy and safety of medicinal cannabis to treat veterans. She Who Borne The Battle (2017): In March 2017, IAVA began its She Who Borne the Battle campaign to fully recognize and improve services for women veterans. IAVA joined Senators Boozman (R-AR) and Tester (D-MT) who introduced the Deborah Sampson Act to accomplish this goal. The House companion was introduced in May 2017 by Representatives Elizabeth Esty (D-CT), Martha McSally (R-AZ) and Tulsi Gabbard (D-HI). IAVA has made it a priority this year to see this bill quickly enacted. Track the bill’s progress HERE. Ending the VA Backlog (2017): Building on our successful Ending the VA Backlog campaign in 2013-14, IAVA pushed for the passage of legislation that would further work towards ending the VA appeals backlog. Our 2013 VA Backlog campaign resulted in a number of reforms that helped streamline the appeals process. Yet even with the claims backlog down, over 300,000 appeals still plague the system. To further address the appeals backlog, IAVA and other VSOs successfully advocated for the passage of the Veterans Appeals Improvement and Modernization Act of 2017 (S. 1024/H.R. 2288) which was signed into law on August 23, 2017. This legislation further streamlines the appeals process and creates three separate pathways for veterans to appeal their claims, an innovative approach that will significantly reduce the VA backlog. Global War on Terrorism Memorial (2017): IAVA partnered with the Global War on Terrorism Memorial Foundation in support of legislation that begins the process to create a national memorial in Washington, D.C. to honor our fallen warriors, servicemembers, and their families who have supported the Global War on Terrorism. Through our combined efforts, the Global War on Terrorism War Memorial Act (S. 926/H.R. 873) was signed into law on August 18, 2017, and IAVA will remain closely engaged in the process through the eventual memorial dedication. GI Bill Expansion (2017): Following the success of defeating a proposed $2,500 GI Bill tax on new servicemembers, IAVA threw its support and advocacy behind the Harry W. Colmery Veterans Educational Assistance Act (S. 1598/H.R. 3218), bipartisan legislation that strengthens and expands the Post-9/11 GI Bill. Standing with the American Legion, Veterans of Foreign Wars, and other VSOs, IAVA was successful in pushing for the passage of this historic legislation. This bill removes the 15-year time limit on using the benefit, extends the Yellow Ribbon Program to recipients of the Fry Scholarships, awards Purple Heart recipients GI Bill eligibility regardless of active duty time served, ensures National Guard and Reserve Members get the same benefits as those they served on active duty with, restores the GI Bill entitlement of individuals who were forced to discontinue their studies due to the permanent closure of their school, among other improvements. VA Choice Program Extension (2017): In August 2017, with funding for the VA’s Choice program expiring in days, IAVA and partner VSOs were successful in advocating for the quick passage of legislation (S. 114) that provided $2.1 billion to continue the program through February 2018 while Congress develops a permanent integrated network of public and private healthcare led by VA primary care providers managing veterans’ care, while also making critically-needed investments in the VA health care system. The law implements a bipartisan agreement that leaders of the House and Senate Veterans’ committees reached following the defeat by VSOs of an earlier, problematic VA Choice extension bill opposed by the nation’s leading veterans organizations. VA Accountability (2017): In June 2017, the President signed into law the Department of Veterans Affairs Accountability and Whistleblower Protection Act (S. 1094), landmark legislation that gives the VA Secretary additional tools needed to expedite the removal of bad-acting VA employees. IAVA has been relentlessly pushing Congress to pass VA accountability legislation since the 2014 Phoenix VA scandal exposed the outrageous state of the VA health care system. Defend the GI Bill 2017: In early 2017, IAVA and its allies successfully stopped a proposed plan to impose a large registration tax on new military enlistees to gain their Post-9/11 GI Bill benefit. After learning of this short-sighted proposal, IAVA led a nationwide and coordinated grassroots, social media, and press campaign, to defend the Post-9/11 GI Bill yet again. Congress swiftly felt the pressure from IAVA’s members, the media, and their constituents, and have not moved forward on the proposal. #PayThemBack (2016-2017): In October 2016, media reported that thousands of California Army National Guardsmen were being forced by the Pentagon to repay with interest re-enlistment bonuses paid as much as ten years prior. These forced repayments were in response to a 2010 federal investigation that found that the bonuses were improperly awarded. When news of this scandal broke, IAVA waged a campaign to #PayThemBack, working with others VSOs and Congress to ensure that the Pentagon was held accountable. After launching the campaign, Congress passed legislation that forced the Pentagon to repay the servicemembers. The ensuing review of 17,485 cases, which concluded July 30, 2017, showed that nearly all of them had been resolved in favor of the soldier. Only 393 Soldiers whose cases were entered into the appeals process remained and had not yet exhausted their appellate opportunities. By September 30, 2017, DoD will provide Congress with the final results of the appellate process. Defend The GI Bill (2016): In 2016, the House and Senate Veterans’ Affairs Committees introduced veterans omnibus bills that included the first cuts to the Post-9/11 GI Bill. The Senate legislation included $3.4 billion in cuts over the next five years to the Post-9/11 GI Bill, robbing veterans and their families of benefits that they were promised. The Senate developments followed the passage of a similar House legislative package, which included a 50 percent cut to the housing allowance provided to children who would have their parent’s Post-9/11 GI Bill benefits transferred to them. 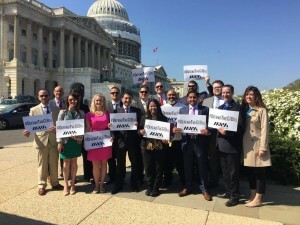 Through relentless advocacy on Capitol Hill and nationwide efforts by our members, IAVA was successful in stopping these bills from being passed into law. Women Veteran Suicide Prevention (2016): Building on the passage of the SAV Act, IAVA advocated for the Female Veteran Suicide Prevention Act (S. 2487/H.R. 2915), legislation that specifically addresses suicide issues for women veterans. A 2015 study found that women who have served in the military die by suicide at nearly six times the rate of those in the civilian population. Following passage, the bill was signed into law by President Obama on June 12, 2016. Among it provisions, the legislation will: require the VA to include metrics on women veterans in its annual evaluation of mental health and suicide prevention programs, identify the programs that are most effective and carry the highest satisfaction rates among female veterans. 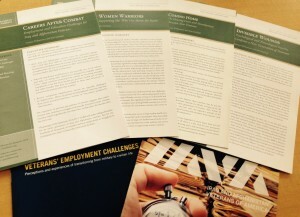 Kingdomware Technologies, Inc. v. United States (2016): IAVA was a key player in this Supreme Court ruling, advocating in favor of veteran entrepreneurs and small business owners in its 2014 Policy Agenda and submitted an amicus brief in the case. The ruling requires the Department of Veterans Affairs to consider setting aside all procurements for veteran and service-disable owned small businesses, and that they cannot exempt federal supply schedule procurements (FSS). James Zadroga 9/11 Health and Compensation Reauthorization Act (2015): IAVA joined forces with the Feal Good Foundation and 9/11 first responders and survivors to secure a fully-funded, effectively permanent 75-year extension of the World Trade Center Health Program Fund and five-year, $4.6 billion Victim Compensation Fund extension, both of which are critical to supporting the medical and financial burden facing many 9/11 first responders. Read the timeline of IAVA’s efforts on this important issue. SAV Act (2014-2015): Seeking to combat the alarming trend of veteran suicide, IAVA devised The Suicide Prevention for America’s Veterans (SAV) Act. Addressing the fact that 20 veterans a day die by suicide, the legislation inconceivably was held hostage by the whims of a lone Senator thus not becoming law in 2014. However, building on the momentum created for passage of the SAV Act in the 113th Congress, IAVA insured that this vital legislation was one of the first pieces of legislation debated and passed by both Houses of Congress during the initial month of the 114th Congress. Following passage, the Clay Hunt SAV Act was signed into law by President Obama on February 12, 2015. Among it provisions, the Clay Hunt SAV Act would: expand access to mental health care for troops and veterans; strengthen oversight of military mental health care programs; and improve suicide prevention training for VA and DoD care providers. Ending the VA Backlog in (2013-14): IAVA has created a successful movement to reduce the massive backlog of VA disability claims. In March 2013, when the backlog reached a peak of 600,000 waiting veterans, we launched a broad campaign to End the VA Backlog. With the help of allied organizations, we prompted the VA to implement long-languishing reforms to its claims processing system. Thanks to these reforms, the number of veterans waiting over 125 days to receive compensation for service-connected disabilities has decreased by over 60 percent. Combating Military Sexual Assault (2013): IAVA has been a leader in advocating for reforms to the military justice system that will protect victims of military sexual assault—and prevent future assaults. In 2013, IAVA successfully fought to include thirteen amendments in the 2014 National Defense Authorization Act (NDAA) that will improve victims’ rights, strengthen prevention efforts, and protect whistleblowers. With much more to do, we are continuing this fight in the current 114th Congress. 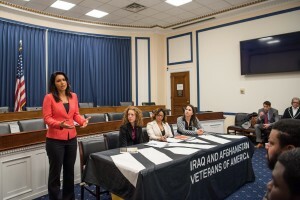 VOW to Hire Heroes Act (2011): IAVA was instrumental in passing this legislation, which addresses challenges veterans face when transitioning from combat to career. It requires every separating service member to take the Transition Assistance Program that provides key job search resources like resume and career counseling. The act also establishes tax credits of up to $9,600 for every veteran hired and begins the work of translating military skills and training into their civilian equivalents. 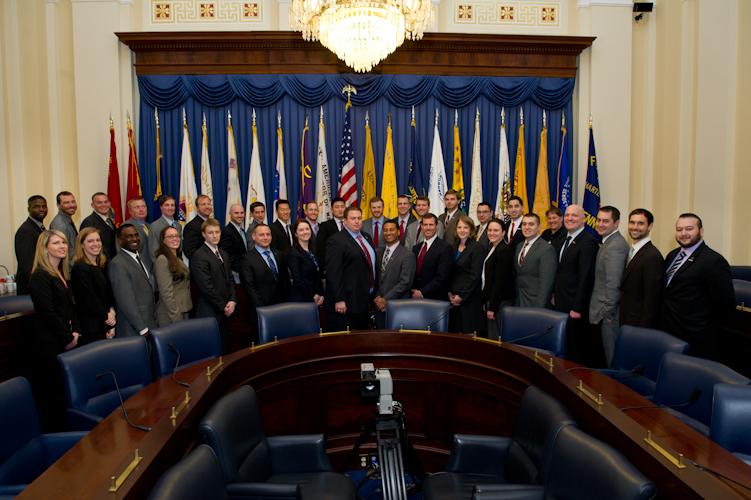 New GI Bill 2.0 (2010): In December 2010, IAVA worked with Congress to pass the Post-9/11 Veterans Educational Assistance Improvements Act, also known as the New GI Bill 2.0. The legislation expanded the Post-9/11 GI Bill to include veterans studying at vocational schools, granted National Guardsmen and Reservists responding to national disasters full benefits, and simplified the Yellow Ribbon Program. This key step forward benefitted almost 400,000 veterans in its first year. Mandatory Mental Health Screening (2009): IAVA aggressively fought to pass a bill mandating every returning service member is screened for mental health injuries. Removing the stigma of seeking help and catching mental health injuries early will ultimately save more lives than all the body armor money can buy. Post-9/11 “New” GI Bill (2008): IAVA played a lead role in fighting for and passing the Post-9/11 GI Bill, arguably the most important veterans’ benefit for our generation. To date, this landmark legislation has sent more than one million veterans to college. Joshua Omvig Suicide Prevention Bill (2007): This was a critical step forward in addressing the veteran and service member suicide epidemic. It helped establish the Veterans’ Crisis Line that has served more than half a million veterans, instituted better suicide prevention training for VA staff, and launched a campaign to reduce the stigma of seeking mental health care. We listen to our members. 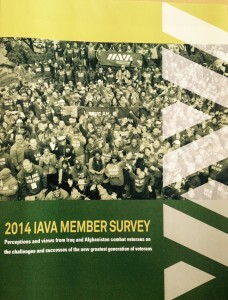 All of IAVA’s work starts with our members, and our advocacy work is no exception. IAVA regularly surveys our members about the challenges they face, their goals for the future, and the current status of the programs meant to serve them. These surveys have one of the largest samples of Iraq and Afghanistan veterans and provide us with an enormous amount of data that guides our work. We do our homework. IAVA is the only organization with a research program focused exclusively on all the issues facing veterans of Iraq and Afghanistan. Our research team is constantly watching the trends, identifying new challenges, and creating policy solutions and programs to set this generation of veterans up for success. We design innovative solutions. IAVA doesn’t just identify the challenges facing veterans, we create innovative solutions to address them. Each year, we release a Policy Agenda, our vision statement of what policies stakeholders should pursue to better the lives of veterans of Iraq and Afghanistan. And, we regularly publish research reports that provide even deeper insight to solutions for specific issues, such as veteran unemployment and issues facing military families. We train leaders. Through our Storm the Hill Leadership Development program, our Summer Internship program, and our legislative fellows, IAVA builds the next generation of policy leaders. These programs first train participants with communications, advocacy, social media and development skills and then give participants practical experiences to employ these skills in support of key IAVA policy priorities. Some of these leaders have already become Congressional staff, run for office, and started their own organizations. We build coalitions of support. IAVA unites the government, private companies, nonprofits, and other veterans service organizations to address the issues facing veterans and their families. We build coalitions of support around specific issues, such as the New GI Bill. And, we maintain strong relationships with key stakeholders that allow IAVA to continue to be a leading voice on veterans issues. For instance, IAVA is a member of The Military Coalition, a group of 34 military, veterans and uniformed services that work together to represent the interests of the whole uniformed services community, including veterans of all generations, family members and survivors. Storm the Hill: During Storm the Hill, IAVA brings veteran leaders from across the country to Washington to share their stories and launch IAVA’s advocacy efforts for the year. 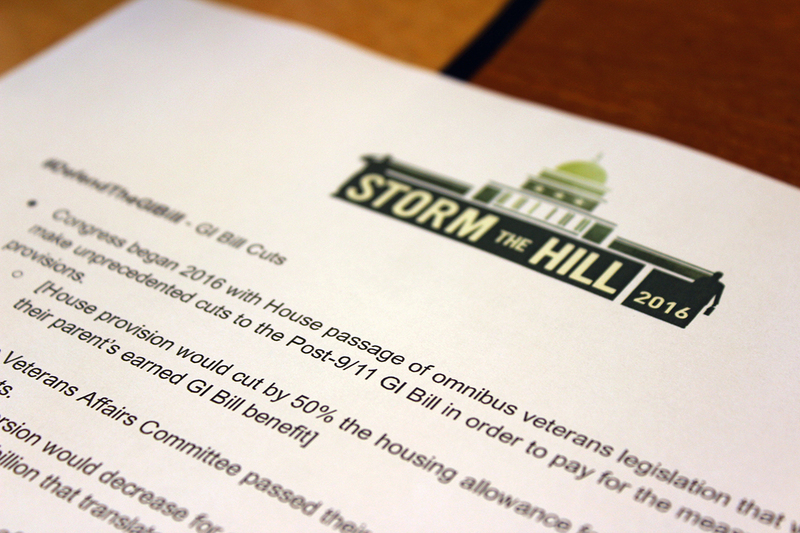 In 2014, our Storm the Hill teams met with over 150 Congressional offices, and gathered pledges of co-sponsorship for IAVA’s top legislative priorities. 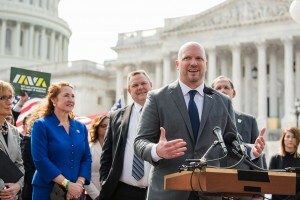 Advocate daily on Capitol Hill: IAVA has a dedicated staff in Washington that advocates on behalf of our members daily. They meet with Congressional offices, the White House, VA senior leadership, and other stakeholders to promote policies that will better the lives of veterans of Iraq and Afghanistan. Testify before Congress: IAVA’s staff and members regularly testify before Congressional committees, such as the Senate and House Veterans Affairs Committees. 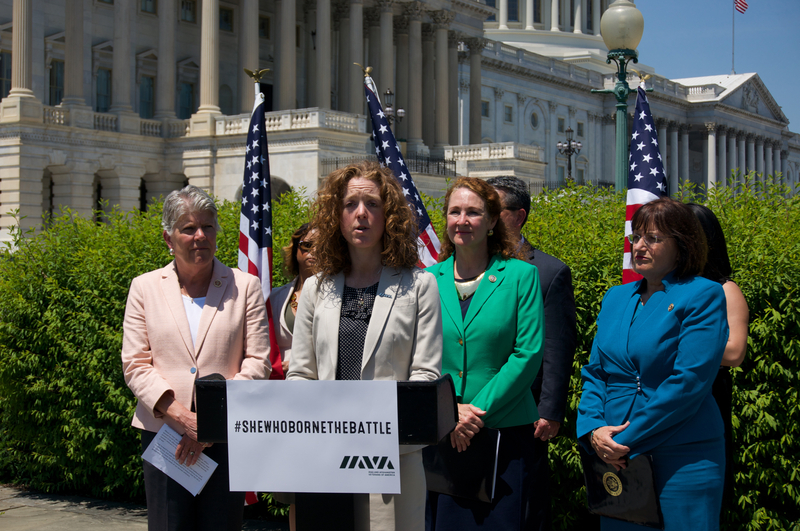 These testimonies are critical tools for IAVA to bring our member’s voices to Washington and call on Congress to act. Read our testimonies here. Engage the power of our membership through the internet: Our members are a critical part of our advocacy work. Their stories put a face on veteran issues and they are more than ready to contact their Member of Congress. To advocate on behalf of veterans and their families. IAVA works to educate veterans and their families about the ways that new legislation in Washington can impact their lives through our website, social media and IAVA’s exclusive online community for veterans called myIAVA. Utilize the power of the media: IAVA also uses the power of the media to build a wave of support for our top legislative priorities. We’ve been featured on Meet the Press and we regularly appear on CNN, MSNBC, Fox and other media outlets. We fight like hell, just like we did in combat. And, when we win, we start all over again. Our job is never done, especially as our nation turns its attention away from the wars in Iraq and Afghanistan. But we can’t do it alone. It’s a team effort. And we need you, so join the fight.